Before reading my autobiography, you may like to know that I founded the Lotte Lehmann Foundation in 1997, served as its president for six years and stepped down completely in 2005. But I find myself still obsessed with Mme. Lehmann, her wonderful voice, and fascinating personality. So now I’m having fun allowing her to live again with this website in a personal rather than an institutional way. As the Lotte Lehmann Foundation, inactive now, lists less and less on its website, I’ve decided to provide the names of the previous donors and Advisors. The World of Song Award was something that began with the Foundation and lapsed as the Foundation lapsed. This has been revived, with mezzo soprano Christa Ludwig awarded for 2013 and composer Richard Hundley for 2014. 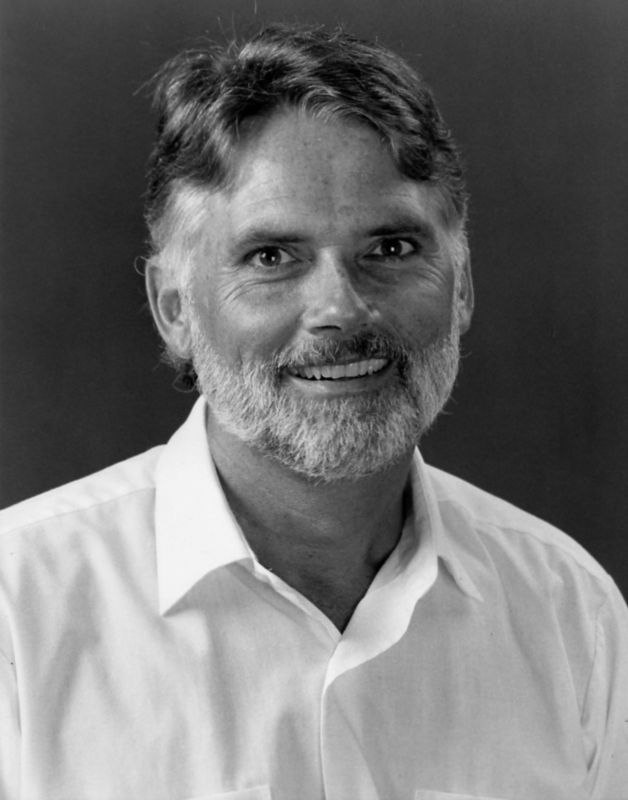 An extra award for Paul Sperry was presented in December 2014. After taking nominations for the collaborative pianist who should receive the award in 2015, we had a tie and presented the award to both Roger Vingoles and Irwin Gage. In 2016 the award went by unanimous vote, to Elly Ameling. The Lotte Lehmann Foundation also supported CyberSing, that is supplanted now with the Art Song Contest. Handled through my Singing and other Sins radio program, the international nature of the contest has resulted in some amazing winners. You can hear the 6 January 2015 presentation called Lotte Lehmann, Legendary and Unknown that I prepared for the Vocal Record Collectors Society. The presentation included Lehmann singing well known as well as rare aspects of her repertoire. I provided the introductions to each selection. Part One lasts over an hour. Part Two last just over 30 minutes. 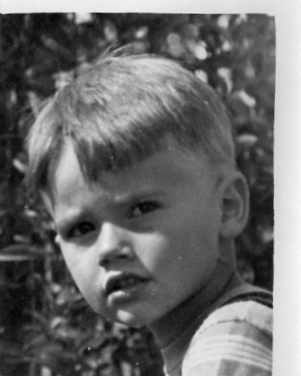 1953-1956: Played drums and later bass in a neighborhood orchestra in La Cañada. The founder/conductor was J. Hobart McLaughlin, a music administrator (and solid musician) who happened to live nearby. 1956 – 1959: Glendale High School: played bass in the band & orchestra; sousaphone in the marching band for a Rose Parade, half-time shows etc. 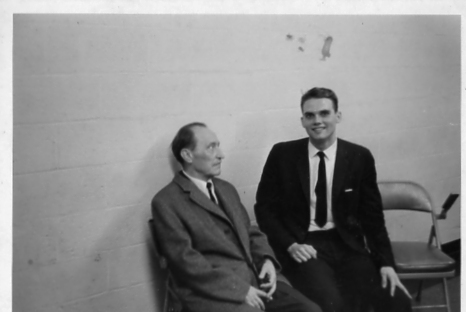 Performed under Eldred Balzer , a fine, musical conductor who introduced me to a wide range of classical music. 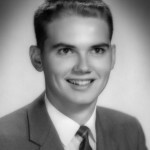 1959 – 1963: UCLA: studied bass with Peter Mercurio; coordinated programs between Band and Orchestra and Chorus; liaison for music department to the Daily Bruin (UCLA’s paper); band librarian, orchestra manager; performed sousaphone in marching band (Rose Parade, half time shows, European Tour), bass in concert band, symphony orchestra, opera orchestra, chorus; graduated with B.S. Performed under Lucas Foss, Richard Dufallo, Clarence Sawhill, Jan Popper, Wolfgang Meier, Roger Wagner, Kelly James. I feel so old when I notice that they’re all dead. They worked hard to inspire us and Dr. Popper even rehearsed us individually for Dallapicola’s Il Prigioniero. 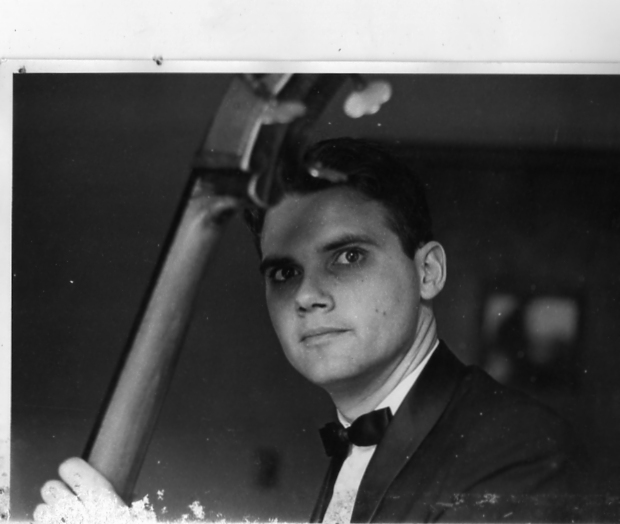 1962 – 1964: Studied bass during the summers with Peter Mercurio at the Music Academy of the West, Santa Barbara. Played under Maurice Abravanel. Audited master classes of Martial Singher. I never missed one of his classes. In the same fashion as Lehmann, Singher showed how to imbue each movement on the opera stage with the importance that it deserved. His song classes were also of the highest order. Audited private lessons of Lotte Lehmann. Abravanel was a power-house. He demanded from us students the highest levels of professional playing. 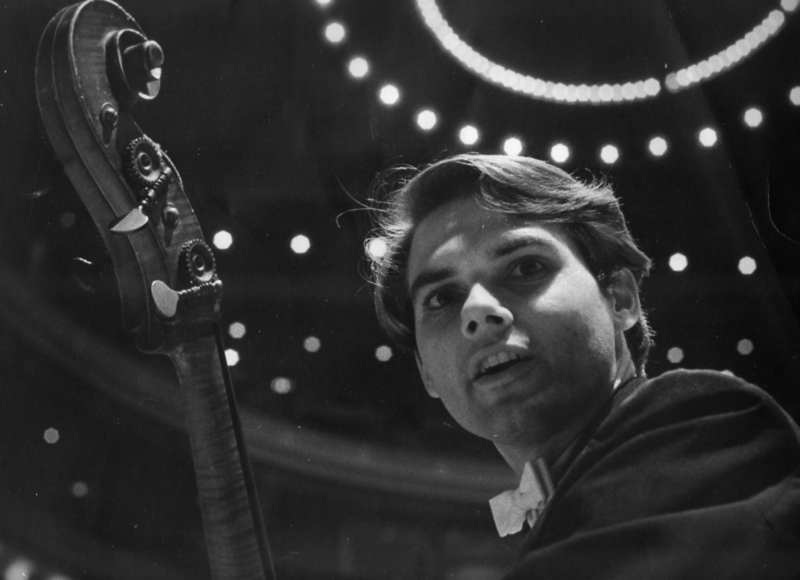 1963 – 1966: Manhattan School of Music, studied bass with David Walter; earned M.M. ; continued bass and studied music education: graduated with M.M.Ed. 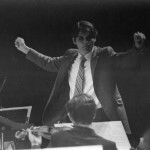 ; orchestra manager, weekend MSM building super, assistant conductor for MSM Preparatory Orchestra; taught Preparatory Bass; performed under Jonel Perlea, Frank Brief, Anton Coppola, Richard Katz, among others. Perlea was already badly affected by the stroke which shortened his career. But he still had the fire of music in him and shouted at us until our pianissimi were really soft! I was charged with the task of bringing him to and from rehearsals in a taxi and so got to know him personally. Summer 1965: Yale Summer School of Music and Art in Norfolk, CT. 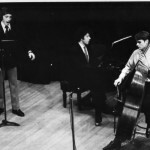 Studied with Yale professors, played bass in chamber music, visited with Paul Ulanowsky who was teaching there. 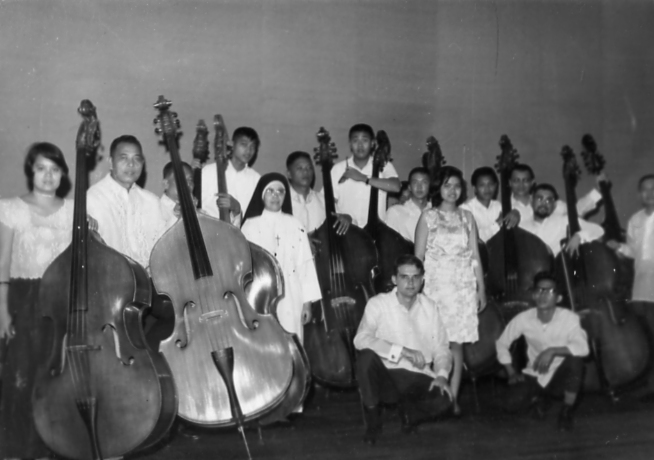 1966 – 1967: Played bass in the Manila Symphony Orchestra as part of the John D Rockefeller III Fund’s support for symphonic music in the Philippines. Taught over 25 students. Played under Herbert Zipper, Oscar Yatco. Dr. Zipper was an authentic Viennese with the accent, the courtliness, and the depth of knowledge about the classical repertoire. 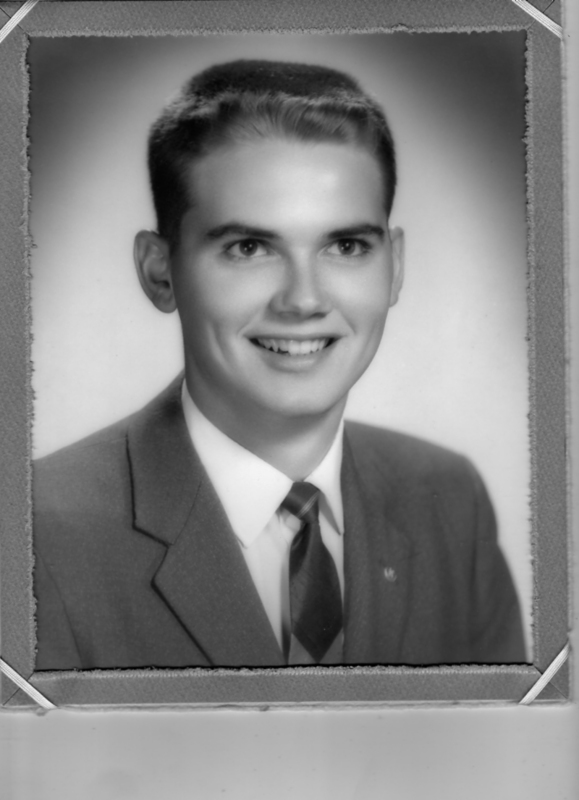 It was through the JDR III Fund that I met its director Porter McCray, who developed into a lifelong friend. The late Jaime Austria was one of my Manila students. He played in the New York City Opera Orchestra. 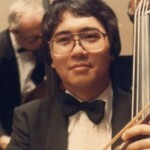 Another fine student was Angel Sicam, a member of the Syracuse Symphony Orchestra until his retirement. And Angel Peña, both bassist and composer, deserves a page all to himself! Played solo recital in PhilAm Life Auditorium. 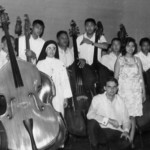 1969 – 1970: Taught string orchestra at Howitt Junior High School, Farmingdale, Long Island . I’m proud of the students who have gone on to be professional musician/teachers (Fred Fehleisen, Ted Grille, Ellen Caruso) or have continued playing as amateurs (Matthew Abrams, Rachel Spector Peak). 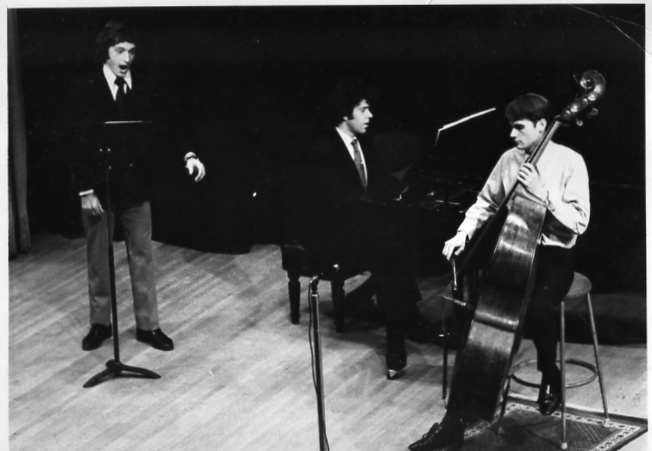 1970 – 1971: Taught bass (as well as theory and cello/bass for teachers) at the University of Northern Colorado, Greeley, playing two solo bass recitals there as well as in Denver. Returned to NYC to play a solo bass recital at Lincoln Center’s Bruno Walter Auditorium. 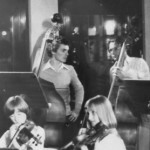 1973 – 1977: Studied bass privately in Munich with Franz Ortner; played bass in Symphonie-Orchester Graunke (now, since Kurt Graunke’s death called the Münchener Symphoniker); Symphonisches Orchester Berlin (Berlin Symphony Orchestra); Münchener Kammerorchester (Munich Chamber Orchestra); Münchener Philharmoniker (Munich Philharmonic); Bayerische Staatsoper Orchester (Bavarian State Opera Orchestra); under Kurt Graunke, Rudolph Kempe, Wolfgang Sawallisch, Hans Stadlmair, etc. Played a solo bass recital at Amerika Haus in Munich. 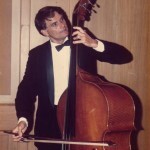 Taught bass at various “Gymnasien” in Munich; Manfred Rössl was one of my talented students; he is now principal bass in Bielefeld, where he also teaches. 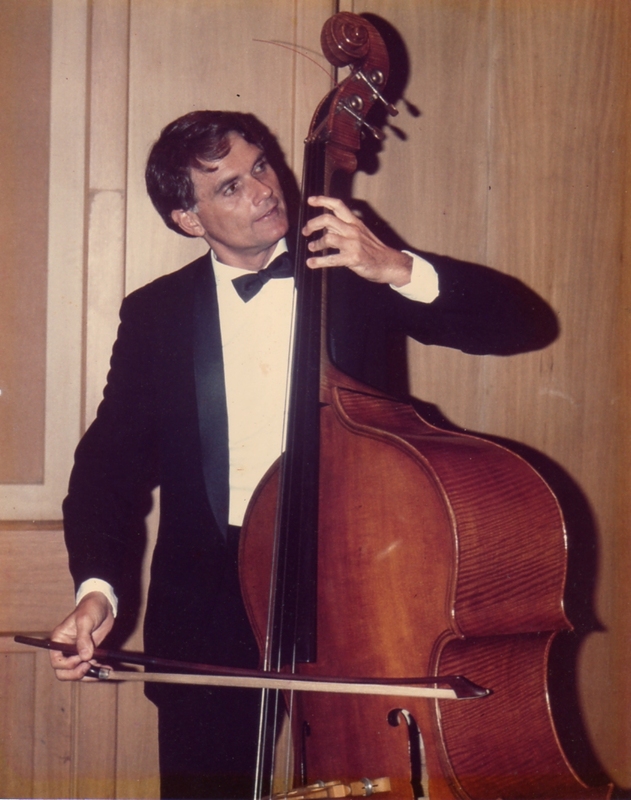 1977 – 1979: Played freelance bass in Los Angeles; taught public school strings and band. 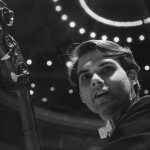 1979 – 1980: Played bass in the opera orchestra of Mexico City’s Bellas Artes. 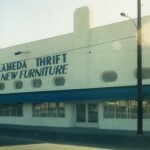 1980 – 2005: Managed Alameda Thrift Store in Compton, California. including a recital of mostly commissioned works of Angel Peña at Orvis Auditorium, with the composer present. Taught bass at Punahou, Iolani and Kamehameha schools and conducted the combined junior high school strings in a HASTA event. Punahou student (the late) Alton Clingan went on to study bass and composition at Eastman School of Music, Columbia University and Harvard. Taught Randy Wong, who is now the Executive Director of the Hawaii Youth Symphony and a performer in the Hawaii Symphony Orchestra. 1986 – 1988: Researched and compiled the discography for Beaumont Glass’ Lotte Lehmann biography. 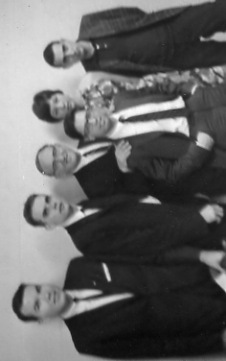 The late William Moran, a discographer of international repute, was my mentor. I also spoke about the discography at the Lotte Lehmann Centennial that UCSB presented. 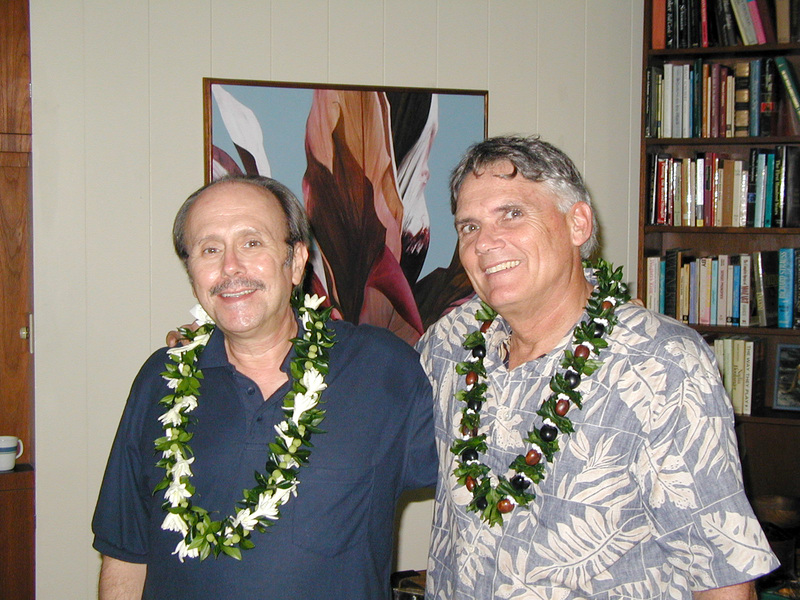 1989 – 2009: Produced and hosted Great Songs on Hawaii Public Radio. This was the only hour-long radio program dedicated to art song in the world. Interviewed such art song specialists as Marilyn Horne, Ned Rorem, William Bolcom, Hughes Cuénod, Elly Ameling, Thomas Hampson, Dan Welcher, etc. 1997 – 2005: Founded and directed the Lotte Lehmann Foundation, which moved from Hawaii to New York in 2003. During this time produced two Lehmann tribute CDs featuring her students, colleagues and Foundation advisors. 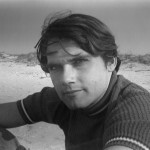 Produced Three American Art Songs, a film setting art song into stories; developed supra titles for art song performance. 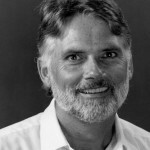 Produced LyricLanguages, an audio/visual use of art song for the language lab; and began CyberSing, an international art song competition, that commissioned Libby Larson, Dan Welcher, and Ned Rorem to write the required song. 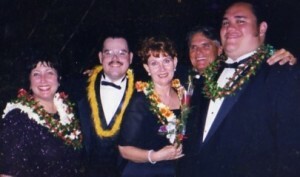 1996 – 2008: Ran Hawaii Public Radio’s Art Song Contest, inviting singers from throughout the Hawaiian Islands to share their performances of art song; Winners Recital Programs were held in Honolulu and broadcast on Great Songs. 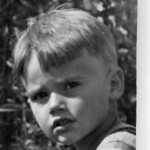 In the photo below you’ll see Quinn Kelsey who now has an international career in opera and song. 2006 – 2009: Studied classical voice with Leon Williams, Maya Hoover, Buz Tennent, and the faculty of the Hawaii Performing Arts Festival as part of their LifeLong Singers program. 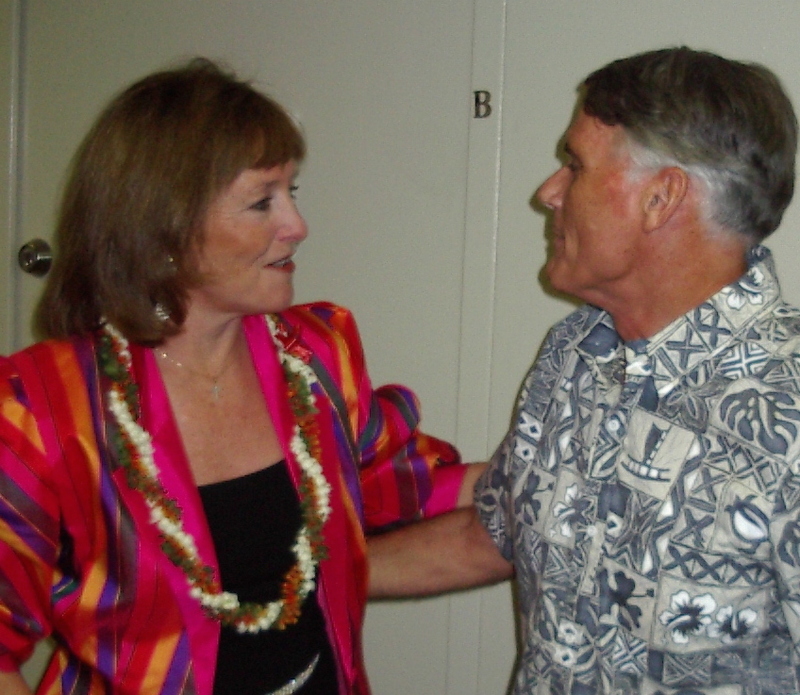 2006 – 2010: Provided commentary and hosted performances of the Hawaii Performing Arts Festival in Waimea on the Big Island of Hawaii. 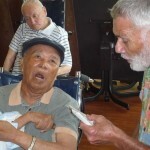 2007 – 2013: Sang regularly in the nursing homes of Honolulu with pianist Dale Hall and soprano Kazuyo Takagi (Butts). 2010 – 2014: Distributed my Lotte Lehmann collection to UCSB, Stanford, University of Missouri Kansas City, and Yale University. 2011: Initiated the Lotte Lehmann League website. Here’s a list of the LLF Advisors. 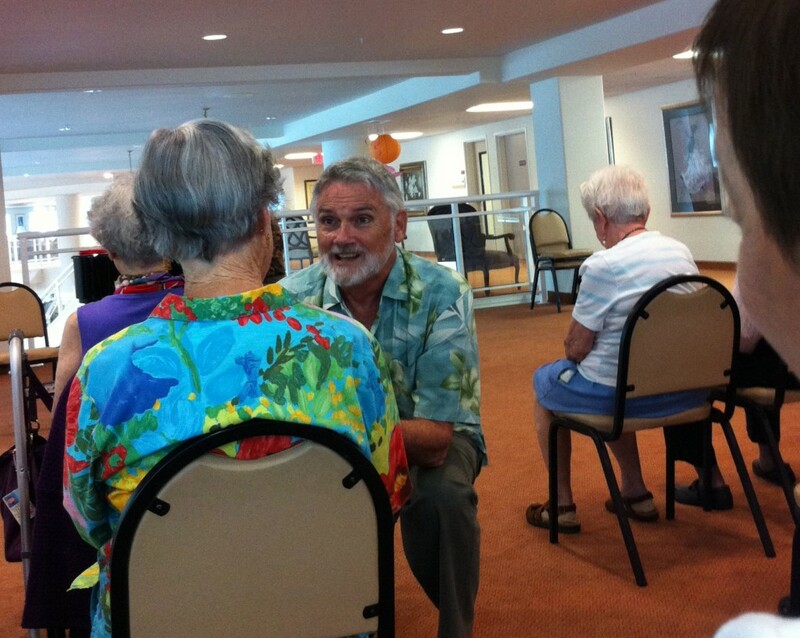 2011: After a two-year hiatus during which Dr. Maya Hoover produced Great Songs for Hawaii Public Radio, I resumed that project under the new title: Singing and other Sins. 2013: Since the Lotte Lehmann Foundation no longer was active, I re-initiated the World of Song Award. 2015 – 2016: Prepared the Apple iBooks: Lotte Lehmann & Her Legacy Volume I and Volume II. 2017: Worked on Lotte Lehmann & Her Legacy Volume III, IV, V that feature her master classes. 2017: Produced the Lehmann Acoustics for Ward Marston. 2018: Prepared Lotte Lehmann & Her Legacy Volume VI, which offers LL in English-language interviews and re-wrote and re-published Volume I. 2018: Celebrated 30 years of art song in Hawaii, first as Great Songs and now as Singing and other Sins. 2019: Finished Lotte Lehmann & Her Legacy Volume VII, which provides the LL German language interviews. 2019: Produced the Lehmann Berlin Electrics for Ward Marston. 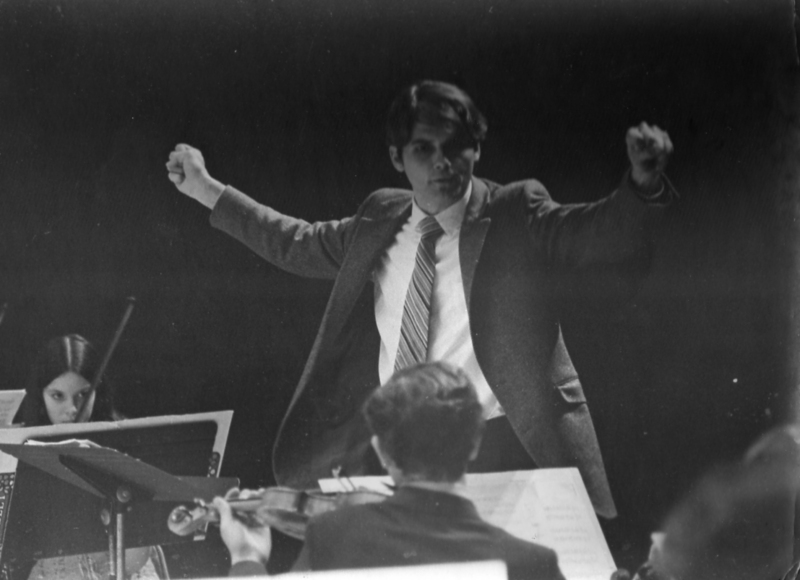 Dennis Moore has been my friend, partner and inspiration since I met him in Munich’s Graunke Orchestra in 1973. 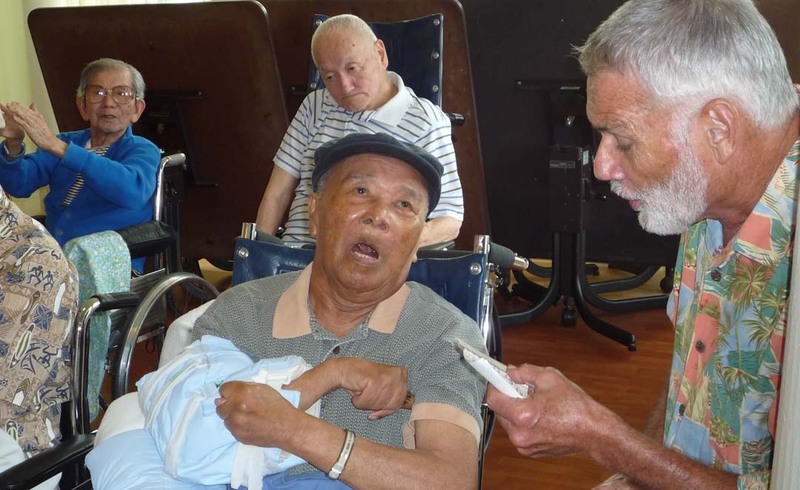 Despite pain and limitations which would embitter other people, he has remained kind and understanding. We married in 2013. Photos etc. available. I’ve been asked to list my proudest moments. There are many and some are very personal and so may not mean much to others. 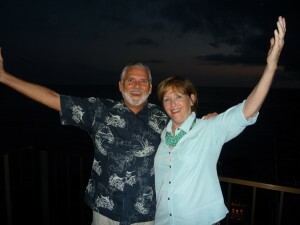 It gave me great pride to join my friend and partner of 40 years, Dennis, in marriage in 2013. You can view the video. The other woman is Susan Deaver. A flutist, she was studying the other instruments to become a teacher. While I was teaching her the rudiments of the double bass there at the University of Northern Colorado, I recommended that she spread her wings and go to New York, at least as a flutist. She is now the conductor of several orchestras, teaches flute at Long Island University and is the conductor of the North Shore Symphony Orchestra and the University Orchestra at Stony Brook University. Way to go! Susan Deaver responded to this with: “How wonderful that you remember that you completely CHANGED the course of my life! Thanks so much for thinking of me! AND thanks for influencing my life in a very good way!!!!!! 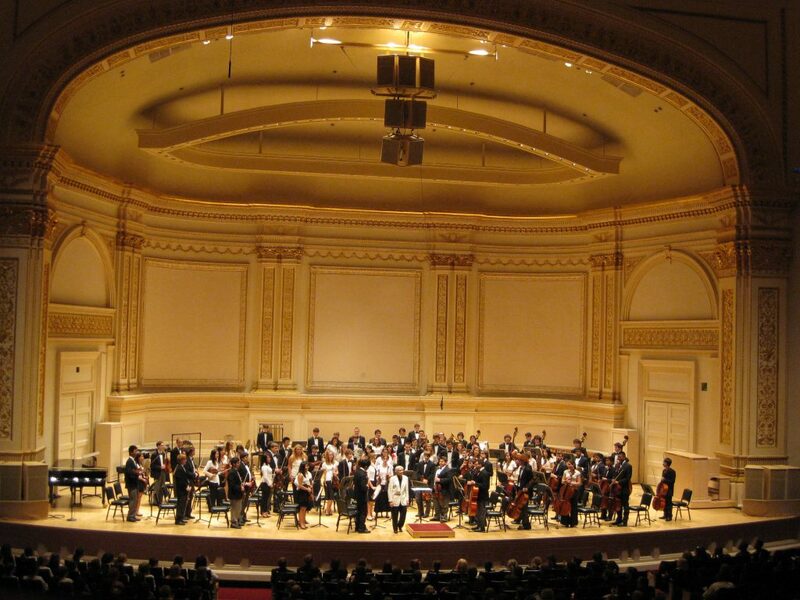 !” She sent photos of her conducting the Long Island Youth Orchestra at Carnegie Hall and one of her conducting the University Orchestra at Stony Brook University. Just after the intermission of a performance in my senior year with the Glendale High School Symphonettes, the conductor, Mr. Balzer, presented me with a present and thanked me for my work as orchestra manager. I was always pleased to see Leopold Stokowski enter my teaching studio at MSM with encouraging words for my bass students. I brought the students of my junior high school string orchestra to an American Symphony Orchestra rehearsal (in which I was playing), and during intermission they gathered at the podium to meet Stoki. He was gracious and when he learned they were my students, first asked if all 40 of them were bassists. I clarified that they were all string players (with one bassist) and he invited them to any rehearsals they wished to attend. 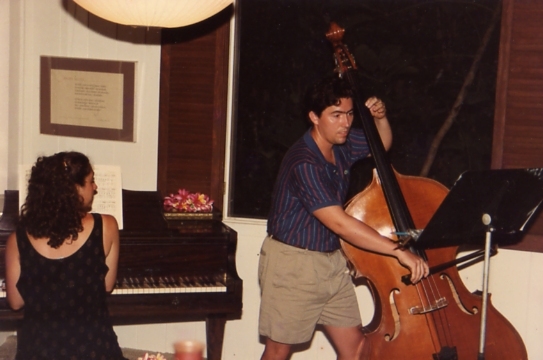 It was extremely gratifying when my former bass student Jaime Austria joined me for a duet in my Manila and New York recitals and then became a member of the American Symphony Orchestra, while I was still in the bass section. 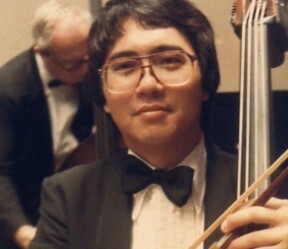 I was Randy Wong’s first bass teacher and now to see him the successful executive director of the Hawaii Youth Symphony and a bassist in the Hawaii Symphony Orchestra is very satisfying. At the beginning of our telephone interview Christa Ludwig said “Hello, Gary” in a tone that was so kind and friendly that one could assume that we were great friends. It has always been a source of great pride for me that Lotte Lehmann was so generous with her time (interviews, letters, photos, etc.) to a non-singer, non-student. In a similar vein, it always impressed me that the great piano accompanist, Dalton Baldwin is so helpful and supportive. 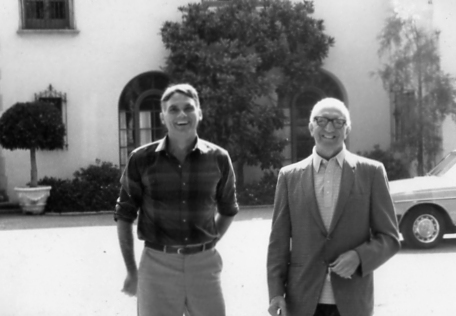 Though we only knew each other by mail and phone, Hughes Cuénod always treated me as if I were a colleague or friend. Certainly one of my proudest accomplishments was the gratis participation of the many great artists, pianists, and recording engineers who participated in both of the Lehmann Tribute projects. Beebe Freitas, one of the leading lights of the Honolulu vocal scene has always supported me in whatever project I undertook. She recorded the accompaniments for the Three American Songs video, took part in my radio program (demonstrating from the piano), played for the Art Song Contest recording sessions and often for the Winners Recitals. Her support continues. I was shocked, surprised and pleased when the famed conductor (and former bassist) Jonel Perlea arrived for my graduating bass recital. 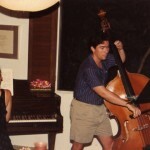 I was only the second bassist at MSM to give a solo recital in fulfillment of the master’s requirement. 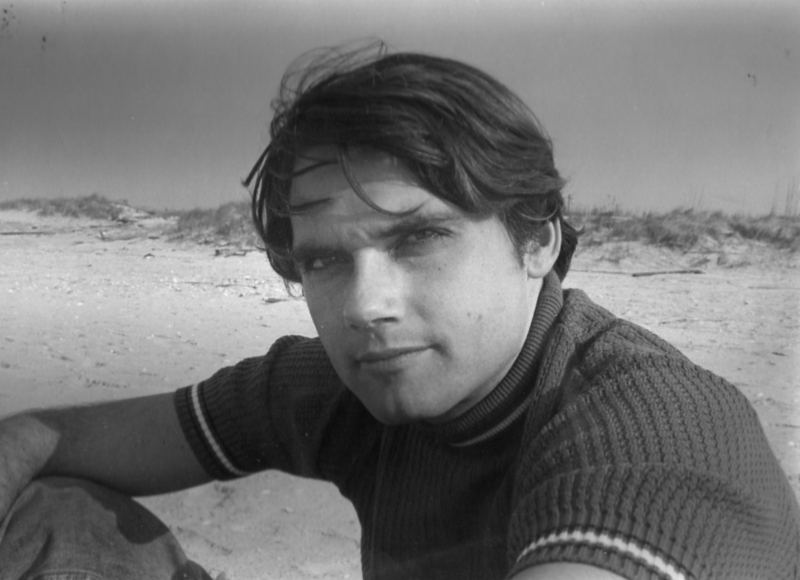 The first was Frank Proto. When I ran in late for the final art song master class given by Martial Singher and the Music Academy of the West director stopped me saying that I couldn’t enter barefoot, Lehmann, who’d overheard the commotion, called for me to sit with her. 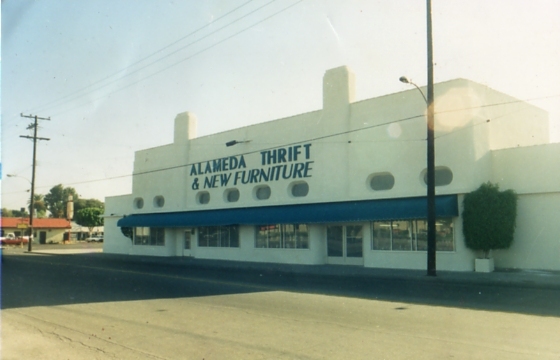 I associate a prolonged period of pride with the accomplishment of Enrique Arias, who took over the management of Alameda Thrift. The casual interview that Frederica von Stade recorded for Singing and other Sins and the other support that she has shown me, has made me feel very appreciated by her. I have assembled a list of many of the musicians who have allowed me to interview them for one project or another (usually for the radio) and it is something between bragging and feeling honored, that I offer it here. Strange, weird, wonderful, audacious, and unusual stuff that I’ve done (in no particular order). For John Corigliano’s first symphony, I demonstrated to him on the bass the difference in pitch from a harmonic b natural and a pressed one, causing him to rewrite that note. RCA’s John Pfeiffer asked what I would recommend for their forthcoming Lotte Lehmann CD; I was able to ask for original metal masters in their archives, resulting in a release that was of both historic and sonic consequence. I read (badly) for the books for the blind. I sold clothes (also poorly) at the New York City’s Brooks Bros. I was on the headline of a Compton newspaper when a reporter quoted me as saying that all Compton officials were corrupt (they were). I wrote one review for Opera News (Meyerbeer’s Les Huguenots performed at UCLA). What a privilege to play bass in a chamber orchestra that accompanied antiphonal choral music in Venice’s San Marco, for which it was written! I took Frederica von Stade to lunch, and she’s as nice as everyone says. She also submitted to an interview for Singing and other Sins. I marched with a Sousaphone on my shoulder in two Rose Parades (one for Glendale High School and one for UCLA). I wrote LP liner notes for a famous pianist’s recordings for which he received the credit (and I was paid!). While learning yoga in a Munich center (and cooking for them), I travelled to yoga centers in Paris and London to relieve their cooks (and have a free place to stay/eat) and see their cities. Within the same year, two conductors berated me for playing bass too loud when I hadn’t played at all (I was still waiting to enter with my first notes!). Though lawyers could find no solution, after studying the California law that seemed to threaten the thrift store endeavor I owned, I was able to find a way to operate within the law. 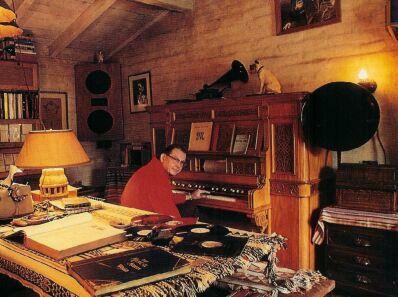 As kids, my brother and I played in two castles in the desert mountains behind our house in La Cañada. The “Rock” castle was supposed to have been occupied by a Spanish governor of California. The “Pink” castle, built in 1911 (how do I remember that, when I can’t remember my doctor’s appointment?) was unoccupied. It had so many doors that they never locked them all and Steve and I ran through the place with glee. We never damaged anything (after all, we were planing to return to play there!) and always locked the door behind us. I once did a swan dive (into a river in Baguio, Philippines). If I hadn’t done such a dive, I would have hit the bottom of the shallow river. I went boating (in a little canoe) on the ocean off Long Island with Jerome Robbins. During my L. A. substitute teaching days (with no training) I taught deaf kids. With no experience, but with the help and direction (and forbearance) of the discographer William Moran, I compiled a discography (for Glass’ book on Lotte Lehmann). I brought a mini-bouquet to Marilyn Horne’s hotel room and sang the first line from Wolf’s “Auch kleine Dinge können uns enzücken” and Marilyn Horne answered without missing a beat, “auch kleine Dinge, können teuer sein” and then I hugged her (there was a lot to hug!). So I can say, MH sang to me! 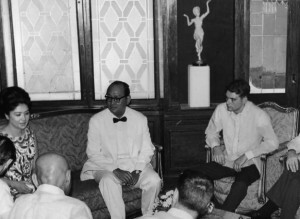 I met Imelda Marcos in Malacañang Palace, Manila. While on a guided tour, a friend and I were accidentally locked in the catacombs of Vienna’s St. Stephen Cathedral with the bones of plague victims. At four different times in my life I’ve saved people from drowning. Angel Peña wrote two bass sonatas, one short four movement piece, and one bass concerto for me. 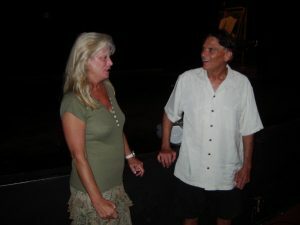 I was for a short time co-chair of the Hawaii Green Party. I snuck into a dress rehearsal of my dream cast of Marriage of Figaro in Munich. Fischer-Dieskau was the count; Gundala Janowitz, the countess; Hermann Prey was Figaro, Reri Grist, Susanna; Brigitte Fasbaender, Cherubino; and Karl Böhm, the conductor. After her rendition of Porgi Amor, Böhm shouted “Bravo Janowitz” and without missing a beat, continued the rehearsal. I turned pages for pianist Paul Ulanowsky during Bach Aria Group performances at Town Hall, NYC, and got paid for it! 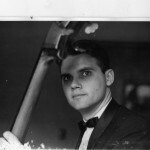 I played bass for the UCLA jazz band in Hollywood Bowl. After a long rehearsal my pizzicato finger-blisters broke. I went to a hardware store and bought gloves to play the performance. I also snuck over a fence there once to see Dorothy Kirsten’s Madame Butterfly. I taught Hermann Prey. Actually, after I interviewed him in Munich, for a radio program I was preparing for WBAI in NYC, he asked me to help his English for the role of Aeneas that he was preparing for a recording of Purcell’s Dido and Aeneas. He was surprised that I knew the role from memory; I had taught it to Katsuumi Niwa years before. I shared a talk on Lehmann with her last student, Jeannine Altmeyer. When I was putting together the advisers for the Lotte Lehmann Foundation, I invited Birgit Nilsson and she wrote back that she thought she was too old to be of any use to the Foundation. I responded that Hugues Cuénod had joined and he was 99 at the time. Mme. Nilsson answered immediately that she would be happy to be listed and that she had always been a fan of Lotte Lehmann’s singing. One of the great happy surprises of my adult life was inviting internationally famous singers and pianists to record their songs and/or Lehmann memories for the tribute CDs and discovering that not only did they do a great job of it, but that both the singers and the pianists recorded without charge. And with very few exceptions the recording engineers also volunteered their time! 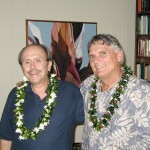 For a few years I was on the board of the Family Peace Center in Honolulu. Run by Laura Crites, this center worked to support not only women in troubled relationships (read “battered”), but also helped the men and the children of such families. 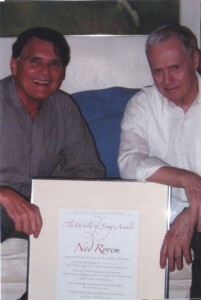 As President of the Lotte Lehmann Foundation I was able to present the World of Song Award to Ned Rorem personally. My best “one off” may never be matched for being unique: in 2011 I enjoyed meeting with Joseph Gosalvez, who was the same age (26) as I was when I taught in Manila. Now for the “one off”: he is the grandson of Angel Peña and Johnny Gosalvez, my two most advanced students in Manila during my time there in 1966 – 67. Joseph is interested in music. His only Munich recital of the season being sold out, a German buddy (Frank Manhold) and I devised a way of sneaking into Herkulesaal from back-stage to hear Dietrich Fischer-Dieskau with Wolfgang Sawallisch at the piano. We had to retrace our steps at the end of the event and ran into DFD. Frank was completely tongue-tied; I stammered “Vielen herzlichen Dank,” and we disappeared happily into the night. 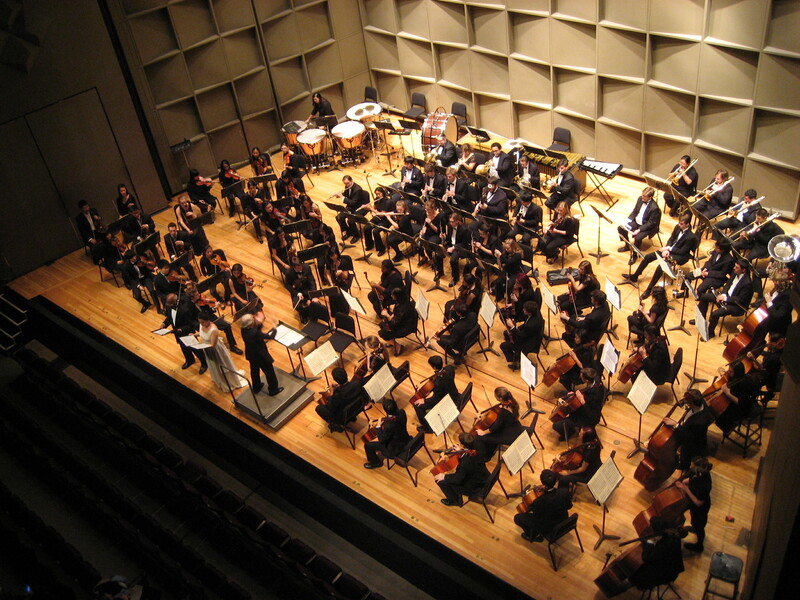 During my year of playing bass for operas at Mexico’s Bellas Artes, I spent a night “off” in the university concert hall to hear the touring Brooklyn Philharmonic perform. I arrived early and was looking over the program and the names of the many NYC friends in the group, when I got a tap on the shoulder and an invitation to play in the orchestra…right now! 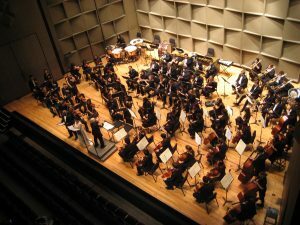 The bass section had been decimated by amoebic dysentery; they supplied someone’s ill fitting tails, a bass and a bow and I sight-read the concert, under my UCLA-days conductor, Lucas Foss. 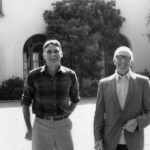 When I was preparing one of my radio programs for WBAI in New York City, I approached one of the most art song-knowledgeable experts I could find, Philip Miller. (He deserves a whole page unto himself! That will be a project for the future.) The program was to be the “top 40” Schubert Lieder by 40 different singers. He helped tremendously. Finally, I asked him to recommend one of the many Schubert songs recorded by Lehmann. He said, without hesitation, that though Lehmann was 60 years old when she recorded it for RCA, there wasn’t a more beautiful version to be found of An den Mond. This is not the Schubert Lied to Goethe poetry, but rather to that of Hölty. 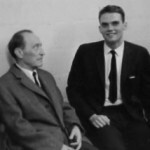 When Beaumont Glass began his Lotte Lehmann biography in 1985, he asked me to provide the discography and when I contacted Mr. Miller he immediately suggested Bill Moran who became my mentor on the project. I’ve begun a list of German-speaking composers, and before that a sampling of the over 8,000 Lieder inspired by Heine’s poetry. These two presentations were prepared for the “History of the German People” class I took in the Spring of 2014 with Dr. Schweizer at the University of Hawaii, Manoa. Wo sie den Bach belauscht!